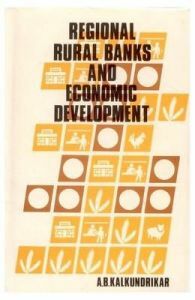 The Regional Rural Bank (RRBs) are a new species in the multi-agency credit delivery system of India. They have been playing a catalyst role in the development of rural areas since their inception in 1975. The present study aims at analysing the role of RRBs in the economic development through a sample survey at the operational level and a macro study at the state level, particularly in Karnataka. The present book is an abridged version of my doctoral thesis submitted to the Karnatak University, Dharwad. It contains case studies of two RRBs in Karnataka. The objectives of the study are: (1) To review the working of RRBs in Karnataka. (2) To evaluate the contribution of RRBs to the economic development of Karnataka. (3) To compare the role of RRBs with other financial institutions in the rural sector and (4) To make necessary recommendations for effective working of the RRBs. The present study which is based on survey technique and a case study method provides insight into the problems and performance of the RRBs. It is a diagnostic study of RRBs in Karnataka. Other books by Kalkundrikar, A. B.